It’s Christmas time. If you don’t believe me just turn on the television. There were years, many years, when as a single parent who wasn’t interested in dating I felt the sting of all the Christmas ‘perfect family’ tv shows. 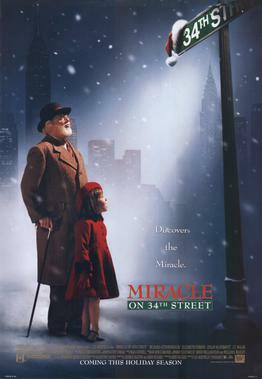 One year, while watching the newer version of Miracle on 34th Street I suddenly realized that at the end of the movie they shared a Christmas miracle that I could not. They found love, she got pregnant, and they got given a two million dollar house complete with Christmas cheer. Christmas in rich, white America. For some of us being alone at Christmas is just a temporary bump in the road. We are between relationships, so to speak. For others, however, there is the terrible realization that we may never fit in, that we are… misfits. You know who you are. You are the misfit toys. For years I worked in a profession that was noticeable because of it’s homogeneity. It tended to attract the same temperaments – outgoing but controlled, opinionated but politically correct, dead smack in the middle of the introvert/extrovert scale. And passive-aggression, so many passive-aggressive leaders. It was a sub-culture, though a comfortable one for many. I never really fit in. Don’t get me wrong, I really tried. I am, for lack of a clearer definition, a weirdo. I don’t necessarily play well with others. I enjoy being controversial, much to my own demise. I have written earlier about the well-known local personality who wrote to tell me that my biggest problem in life was my personality. That is still hard to digest some days. I have changed a lot in the past couple years, or so I have been told. I have apparently grown-up some and learned about myself. Working as a counselor full-time has radically changed who I am. I get paid to perform self-analysis and it has been a very important ride. I still have difficulty fitting in. I care about this less than I once did, but sometimes I cannot help wondering what life would have been like if I would have been less extroverted, or opinionated, or susceptible to such creative fits of passion. Don’t get me wrong, I have made peace with “me”. Unfortunately it has come at a price. One of the things that helped me was to come to grips with the fact that I am not unique. Many of us, many, many of us, struggle with feelings of inadequacy or “less”. Even those of us with more acceptable temperaments worry that we will be misunderstood or rejected. Most of us can supply ample evidence to support that feeling. We have felt the sting of judgment, often over and over again. You think you are all alone until one day you hear the bay of another dragon. So here’s to you – you weirdos, you misfits, freaks, and artists. Merry Christmas Rudolf. You are fine just the way you are. If I have learned anything it is that I can never measure up to the expectations of my detractors; so I have stopped trying to impress. I am learning that the more I work on becoming a better me, weird or not, the healthier my life is and the lives of those I influence. I don’t really need to work on my marriage and relationships as much as I need to work on this guy. The healthier I get the more I can handle. The more complete I am the better I can be at reacting to stress and conflict, hardship and life. That doesn’t mean you don’t have things to work on, but then again we all do. The more you are ok with you, the happier you will be. The happier we all will be. It’s Christmas time. Drink some eggnog even though it has a million calories. It’s not like you will become addicted, it’s only available for a month or so. Put it in your cereal and your coffee. Splash it on some rum. 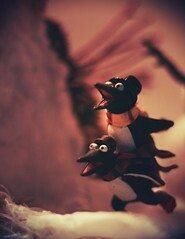 Smile, laugh, and if you do nothing else, watch The Muppet Christmas Carol. We can all choose to be happy, if only for a few moments. Maybe it’s an inside joke…. Every year my family gathers around the television to watch the original story of Scrooge – The Muppet Christmas Carol. It’s a story of regret, of choices made, of the wrong priorities. It is about the chance to see the ramifications of our actions, the opportunity to live life over again. Michael Caine is taken to see his wasted and destroyed life and witnesses the series of misguided decisions that served to create a ruined life. One especially poignant scene is where he watches his younger self give up the love of his life because of his lust for money and selfishness. As Scrooge watches the scene unfold, we can see the emotions playing out over his face. We can imagine what is going through his mind: What a fool he had been! How his life would have been different if he had married, if his heart hadn’t been hardened by the love of money. Perhaps that young man wouldn’t have become this wretched, bitter old miser. He realizes his life has turned out totally different then he thought it would. Consider this: How would you like to be visited by the ghost of your past? How would you like to go back and relive your sins, your mistakes, the foolish choices that changed your life? How would you like to be forced to watch helplessly, knowing what the outcome is going to be, unable to do anything to change the result, feeling the sharp pain of regret at not having taken the other path, or at least wondering what would have happened had your choices been different. For most people there’s really no need for a night-time visit from one of Charles Dickens’ three spirits, because we do it ourselves. We replay the past, again and again. We see it projected on the screen of our minds. We are experts at reliving our failures. I have often told people that there is no need to tell me my shortcomings because most of us are keenly aware of the many ways we do not measure up. We are encyclopedias of our faults. Don’t you sometimes wish you could go back and talk to yourself at those key moments, talk to that person in the movie of your life, warn them, tell them where the road they’re taking will lead? When I look back over my past I am keenly aware of the many times I have chosen what is easiest over what is best. I get paid to tell people how to live their lives and yet know that I have often fallen far short of what I would like to pretend happened. After I found myself a single parent twelve years ago I made a series of blunders and even lost friends in the process. I look back at that person and realize that grief and loneliness drove me insane. There they are, the ghosts of Christmas’s past. It took years and many mistakes to find my way back and there are people who still hold those days against me. The question is, will I still hold those Christmas’s against me? They say time heals, or so the story goes. It is easy to hold ourselves responsible for things we did when we were young, or childish, or stupid. For decisions made when we were in the midst of abuse. For bad moves that we cannot take back. For things said, even career moves, which were a result of our insanity and pain. They say it is easier to forgive others than it is to forgive ourselves. There are few things more true, I have found. Unfortunately, however, it is very difficult to move forward when we still listen… to the ghosts of Christmas past.